A baby girl is said to be fighting for her life in hospital after she was found seriously injured at a council-run care home. The 12-week-old was taken to hospital on Thursday night after she was discovered unconscious at Strathbrock Family Unit in Broxburn, West Lothian. Emergency services attended the family homelessness unit and the child was taken to hospital in Livingston by ambulance. She was then transferred to Edinburgh Sick Kids Hospital, where she remains in serious condition. Police are continuing to liaise with medical staff and with family members in order to establish the full set of circumstances. 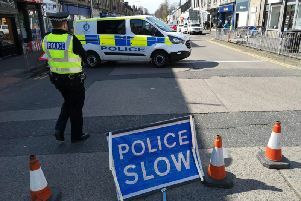 Chief Inspector Stevie Dolan, Area Commander for West Lothian, said: “This is a tragic incident that has affected everyone involved. A West Lothian Council spokesperson added: “Emergency services attended a council-run homeless facility for families in Broxburn on Monday, 30 May, after concern was raised over the health of a child.